This film is a part of a Double Feature with Gigi. When two movies that are screening in the same theatre are grouped under the same thematic heading, one ticket is good for both features when viewed back-to-back on the same day (except as noted). Jane Powell, Howard Keel, Jeff Richards, Russ Tamblyn, and Tommy Rall. 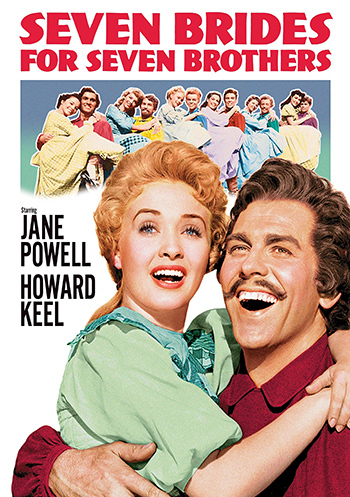 One of the defining big-screen Technicolor musicals, this barn-burning classic brings the seven brides and seven brothers of the title together for some of the most extraordinary dance sequences ever filmed, thanks to the astonishing choreography of Michael Kidd and the athleticism of the professional dancers cast in a majority of the roles.